Vision-Strike-Wear.Com is honoring or men and women in uniform with great Veteran’s Day Savings! Please use coupon code VETDAY15 at checkout for 15% off your next purchase, good through November 11th. 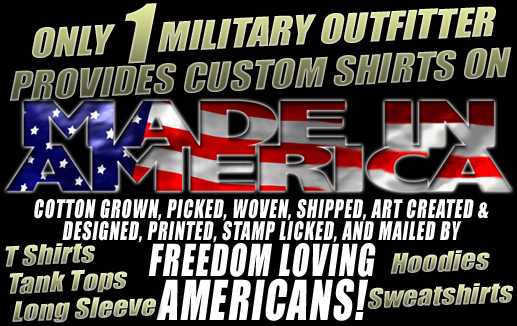 Military Shirts Made in America! Vision-Strike-Wear.com, like the Marine Corps adapts and overcomes and in doing is marching towards a Made In America attitude in all that we do from the designs we create, the printing and the actual military shirts we print on. Every day we search for new and exciting Made in America products we can print on. Military shirts, hoodies, sweatshirts, tank tops and long sleeves with more apparel options Made in America coming soon. 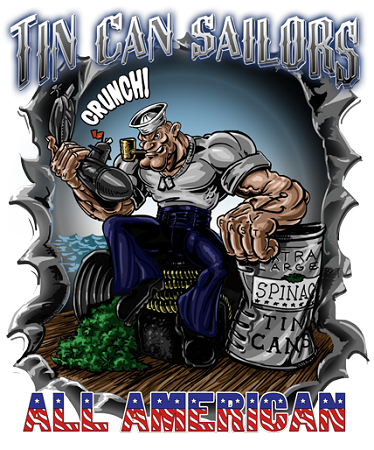 Another brand new design, Popeye the Tin Can Sailor, is a fully licensed Popeye vibrantly colored design offered exclusively through Vision-Strike-Wear.com! A pleasure to support our many United States sailors that have served aboard the backbone of the United States Navy, the Destroyer! Look for exciting upcoming dates and savings! November and December has many exciting dates and events that we are sure are high on your radar. Vision-Strike-Wear.com would extend the very best to you and yours this holiday season! November 10th United States Marine Corps Birthday! November 29th Black Friday! Stay tuned for some amazing savings about to be announced! December 2nd Cyber Monday! Even more fantastic news and savings we can barely contain mentioning!